If your administrator has enabled callback from queue (see Allowing customers to request a callback), callback requests appear in the call console similar to incoming calls. Click Call to return the call. 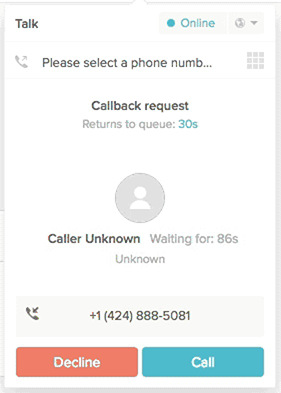 Click Decline to move to the next call in the queue.